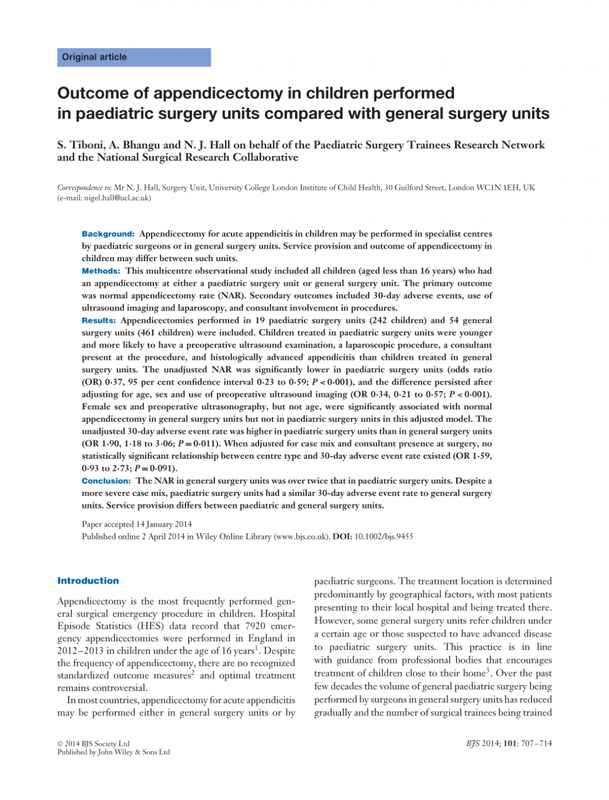 Outcome of appendicectomy in children performed in paediatric surgery units compared with general surgery units. Br J Surg. 2014;101(6):707–714. Home » Portfolio » Outcome of appendicectomy in children performed in paediatric surgery units compared with general surgery units. Br J Surg. 2014;101(6):707–714.